If you no longer want a Truffle project linked to a workspace, go to the WORKSPACE settings pane the same way you did when linking the project. 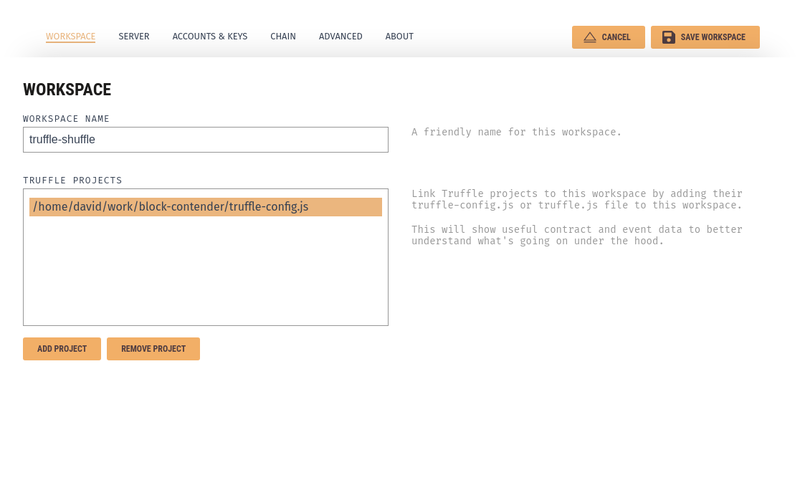 To remove/unlink a Truffle project from the workspace, click on the project file in the TRUFFLE PROJECTS list and then click the REMOVE PROJECT button. When you're done, click the SAVE AND RESTART (SAVE WORKSPACE if this is a new workspace) button in the top right.